A centennial celebration at a central Kansas landmark is planned. 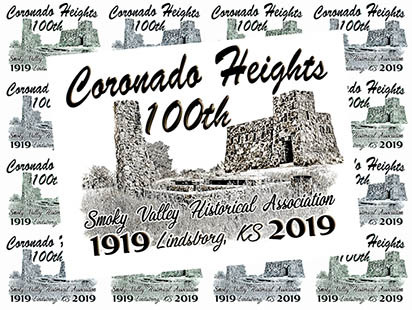 The Smoky Valley Historical Association is planning to celebrate Coronado Heights Park’s 100 year anniversary. Coronado Heights receives its name from Francisco Vasquez de Coronado, who visited central Kansas in 1541, looking for the Native American community of Quivira, where he was told “trees hung with golden bells and … pots and pans were beaten gold.” It’s possible, but cannot be proved, that Coronado and his men actually spent time where the castle is now located. During the Great Depression the federal government-sponsored Work Progress Administration (WPA) built eating and cooking areas of native sandstone around the top of Coronado Heights park in addition to a castle honoring the Spanish explorer. The castle provides shelter with a large interior room featuring a table and a fireplace. It’s topped with an open-air second floor roof, accessible by stairs, providing a spectacular view of the valley and beyond. A winding drive up to the heights is lined with many trees, yucca, and sumac. As many as 1,200 visitors ascend the winding 3/4-mile road up Coronado Heights each week. 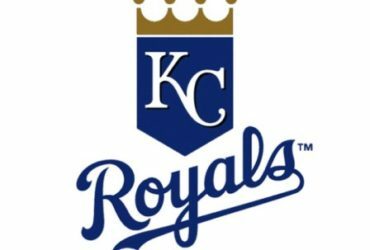 People come from all parts of Kansas as well as other states and nations to experience the quiet beauty of the place with its iconic Spanish style castle, its breath-taking vistas of the Smoky Hill River Valley 300 feet below, and the rolling hills to the north and west. At night the city lights of Salina, approximately 12 miles to the north, and McPherson, around 20 miles to the south can be plainly seen from the top of the castle. The park has grills and fireplaces, including a fireplace in the “castle,” which is otherwise unlighted except for the windows. Groups are welcome to use Coronado Heights for meetings, outings, and special events. Contact the Lindsborg CVB office for information on obtaining permission to use the Heights for these occasions. Informal visits and family gatherings are always welcome and do not require prior approval by the SVHA. Coronado Heights is patrolled by both the Saline County Sherriff’s Department and the Lindsborg Police Department. The rules and regulations for the use of the Heights can be found in the Coronado Heights Use Policy. Coronado Heights recently underwent a renovation, which was completed in 2016. The project included refurbishing floors at the castle, and new wood timber on the lower level. On the upper level, the observation deck was refurbished. Additionally, the entrance ways to the castle were made accessible, and the restroom facility was renovated. 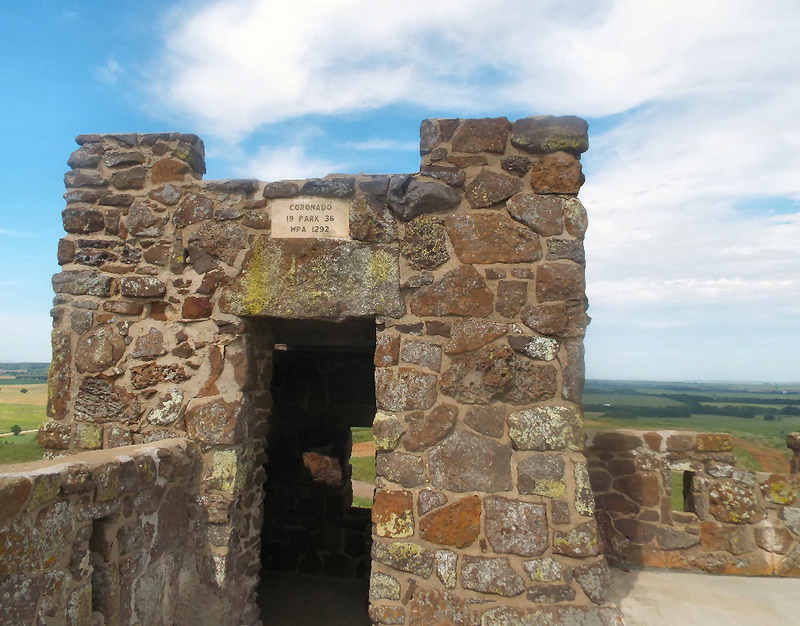 A centennial celebration of Coronado Heights is planned for Saturday, May 18th, beginning at 5:00 in the evening. The Smoky Valley Historical Association says they will “go back in time with a picnic (bring a basket), speeches, a concert, and end with fireworks shortly after sunset. All are welcome to the historic event celebrating the Smoky Valley’s natural beauty with man-made refinements. The castle was built in 1936.